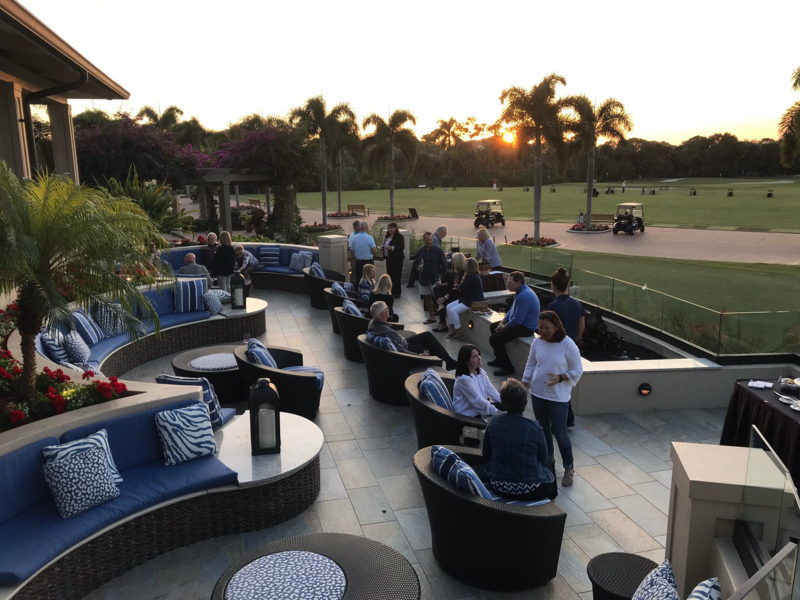 As of February 1, 2019, there are 166 active listings in the MLS in Bonita Bay; 15 more than last month. There are 59 single-family homes ranging in price from $455,900 to $6,750,000. The average list price is $1,431,712 and the average days on the market is 175. The combined days on the market is 197. In the carriage, mid-rise, townhouse, and attached villa market, there are 37 active listings in Bonita Bay. Prices range from $189,900 to $599,000. The average list price is $371,797. The average of days on the market is 134. The combined days on the market is 163. In the high-rise market, there are 70 active listings in Bonita Bay ranging in price from $640,000 to $6,750,000. The average list price is $1,884,403 and the average days on the market is 214. The combined days on the market is 256. Whether you are buying or selling, if you are looking for REALTOR® representation, think of me. Within the last 12 months, there were 88 saleswith an average sales price of$373,414; these condos were on the market an average of 106 days; combined days on the market is 179. During the 12 months previous, there were 73 saleswith an average sales price of condominiums was $381,050; these homes were on the market for86 days; combined days on the market is 154. During the last 12 months, there were 43 saleswith an average sales price of $1,433,058; these homes were on the market an average of 167 days; combined days on the market is 377. During the 12 months previous, there were 25 saleswith an average sales price of $1,363,290; these homes were on the market for an average of 136 days; combined days on the market is 223. During the last 12 months, there were 77 saleswith an average sales price of $1,178,331;these homes were on the marketan average of 80 days; combineddays on the market is173. During the 12 months previous, there were 71 saleswith an average sales price of $1,123,255; these homes were on the market for an average of 111 days;combineddays on the market is 210. For a list of BONITA BAY homessold in the last 12 months, click here. For a list of BONITA BAY homes that arepending at the moment, click here. WASHINGTON – Jan. 31, 2019 – Bye, aggressive, rate-hiking Fed. Hello, cautious, market-friendly Fed. The Federal Reserve held its key interest rate steady Wednesday and said it will be “patient” as it weighs further hikes, signaling a new wait-and-see approach until it gets a better read on a slowing economy and volatile financial markets. “The case for raising rates has weakened somewhat,” Fed Chairman Jerome Powell said at a news conference.”The U.S. economy is in a good place,” he said, but added there’s growing evidence of “crosscurrents,” such as slowing growth in China. The central bank also indicated on Wednesday a greater willingness to keep its roughly $4 trillion portfolio of government bonds elevated to prevent long-term rates from rising if the economy falters. That marks a shift from its prior plan to steadily shrink its balance sheet. “In light of global economic and financial developments and muted inflation pressures, the Committee will be patient as it determines what future adjustments” to its key interest rate will be necessary to meet its goals of a strong economy and labor market and about 2 percent annual inflation, the Fed said in a statement after a two-day meeting. That contrasts with its mid-December statement, which said the central bank’s policy-making committee “judges that some further gradual increases” in the federal funds rate would be warranted.Stocks surged higher Wednesday afternoon after the Fed statement, which followed strong earnings reports and forecasts from big U.S. companies. The Dow Jones Industrial Average ended the day up 435 points, or 1.8 percent, at 25,014.86.Fed decisions are watched closely since they have wide implications for markets and the economy. Interest rates on Americans’ credit cards, adjustable-rate mortgages, home equity lines of credit and some student loans directly respond to Fed moves. Powell said Fed policymakers are considering slowing the pace of the portfolio reduction. Economist Andrew Hunter of Capital Economics now believe the Fed will stop shrinking the balance sheet when it reaches $3 billion to $3.5 billion, substantially above levels previously expected. Powell telegraphed the central bank’s warier stance in interviews this month, saying repeatedly the Fed will be “patient” and “flexible.” But Wednesday’s statement marks its first formal pronouncement of that view in a policy document. It amounts to a swift turnabout for a Fed that just last month raised its benchmark interest rate by a quarter percentage point for the fourth time in 2018 to a range of 2.25 to 2.5 percent and forecast two more hikes this year. That was a pullback from its prior estimate of three rate increases in 2019 and came amid a slowing U.S. and global economy, a trade war with China that’s starting to take a bigger toll on growth and a stock market sell-off. Also, the positive effects of federal tax cuts and spending increases are expected to fade later this year. But investors rebelled and stocks sank further after the December Fed meeting on the belief that policymakers should have indicated they were pausing in their rate hike campaign in light of the economic headwinds. Powell and other Fed officials promptly obliged and reversed course, noting in public remarks that a tumbling market hurts consumer and business confidence and spending. Fed fund futures markets now expect no rate hikes this year. Many economists still expect two but believe the first won’t occur until June. What it means: The Fed is trying to walk a delicate line. In an attempt to calm markets, policymakers are signaling a more tempered view of the economy and a more prudent approach toward rate hikes. 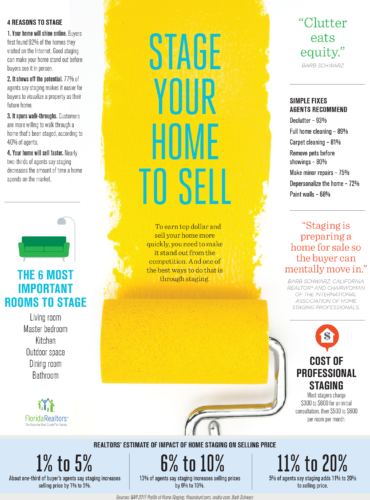 “Sellers are re-evaluating their pricing strategies for 2019,” said Jerry Murphy, Managing Broker of Downing-Frye Realty, Inc. in Bonita Springs. “Sellers are seeing that priced-to-market homes are netting more offers and seeing less days on the market.” Comparing December 2018 with December 2017: The median closed price rose 6 percent to $333,000; the closed sales unit decreased by 2.3 percent to 215 units; and pending sales units decreased 10 percent to 169 units. In comparing calendar year 2018 with 2017: There were 3.225 pending sales for a 9 percent increase; 3,178 closed sales units for an 8 percent increase; and the median price rose 2 percent to $300,000. The active listing inventory as of January 24, 2019 was 1,908 properties, which represents 7.15 months supply. After two consecutive months of increases, existing home sales declined in the month of December. Sales are now down 10.3 percent from a year ago (5.56 million in December 2017). Lawrence Yun, NAR’s chief economist, says current housing numbers are partly a result of higher interest rates during much of 2018. “Now, with mortgage rates lower, some revival in home sales is expected going into spring.” Yun also said, “Several consecutive months of rising inventory is a positive development for consumers and could lead to slower home price appreciation, but there is still a lack of adequate inventory on the lower-priced points and too many in upper-priced points.” Total housing inventory at the end of December decreased to 1.55 million, an increase from 1.46 million a year ago. Unsold inventory is at a 3.7-month supply at the current sales pace, down from 3.9 last month and up from 3.2 months a year ago. Located on level 2, the private Omega cottages provide an ideal setting for a private office, comfortable quarters for live-in help or an adult child, or a private, always available place for out of town guests. The 1 and 5 cottage residences are priced at $750,000. The cottage 1 floor plan measures 1,105 square feet while the cottage 5 plan offers 1,250 square feet. Both plans include one bedroom, one-and-a-half baths, a great room, an eat-in kitchen with a full appliance package, a walk-in shower in the bath, a walk-in closet, a stacked washer and dryer, a separate storage unit, and a covered private terrace with lake and golf course views. The 2, 3, and 4 cottage floor plans range from 990 to 1,040 square feet and are priced at $550,000. These one room studio cottages offer an eat-in kitchen with a full appliance package, a tub/shower combination in the bathroom, a linear closet, a stacked washer and dryer, a separate storage unit, and a covered private terrace with lake and golf course views. For sun-worshippers who look forward to lounging on Omega’s pool deck, the private poolside cabanas offer a perfect place to cool off or to nap in air-conditioned comfort. Each of the cabanas features a full bathroom and a beverage center with a sink and a refrigerator. The cabanas also offer a unique, comfortable place for children and grandchildren to stay while visiting Omega. The private poolside cabanas are priced at $350,000. Omega’s luxurious guest suites are located on the building’s lobby level. In addition to providing guests a private place to stay while enjoying their visit, each of the three guest suites features a king-sized bed, a dresser and nightstand, a full bathroom with a walk-in shower, a coffee bar and beverage center, and a television. The Omega floor plans offer the square footage and width found in estate homes built on 110-foot home sites. The 01 and 03 tower residences will include 4,645 square feet of air-conditioned space, an unobstructed 68-foot wide view, outdoor terrace areas totaling 1,005 square feet, and an 80-square foot or 75-square foot private air-conditioned storage space on the same floor as the residence. The plans feature a massive great room, elegant dining area, comfortable family room, and a double-island kitchen. The great room and owner’s bedroom open to a west and northwest facing terrace with multiple conversation areas, a dining area, and an outdoor kitchen with a gas grill. The double-island kitchen offers an additional gathering place. The plan also includes a den, four-and-a-half baths, and three large guest bedrooms. The den and all three guest bedrooms open to another large terrace that offers sunrise views. The 02-tower plan offers 4,210-square feet under air, an unobstructed 78-foot wide view, 540 square feet of outdoor terrace space, and 75 square feet of private air-conditioned storage space. The plan features a massive great room, an elegant dining area, a comfortable family room, and an island kitchen. The great room opens to a terrace with conversation and dining areas and an outdoor kitchen with a gas grill. The plan also includes a den, three-and-a-half baths, and three large bedrooms, all three of which provide views of Estero Bay and the Gulf. The owner’s suite features a huge walk-in closet, and a bath with separate vanities and separate water closets.Omega residents will enjoy 18,000 square feet of indoor amenities. A more than 3,000 square foot clubroom will feature tall windows overlooking the tower’s exterior amenity deck. A pool with a beach entry and two sun shelves will serve as the amenity deck’s centerpiece. Poolside day beds will be placed around the pool. Day cabanas will be available on a first come, first served basis. A pool pavilion with a bar, seating areas, and restrooms will offer a gathering place. Bar-b-que grills will be situated adjacent to the pavilion. A second pavilion is designed as a food area with an array of cooking appliances. Click to check out the panoramic views of Omega on YouTube. 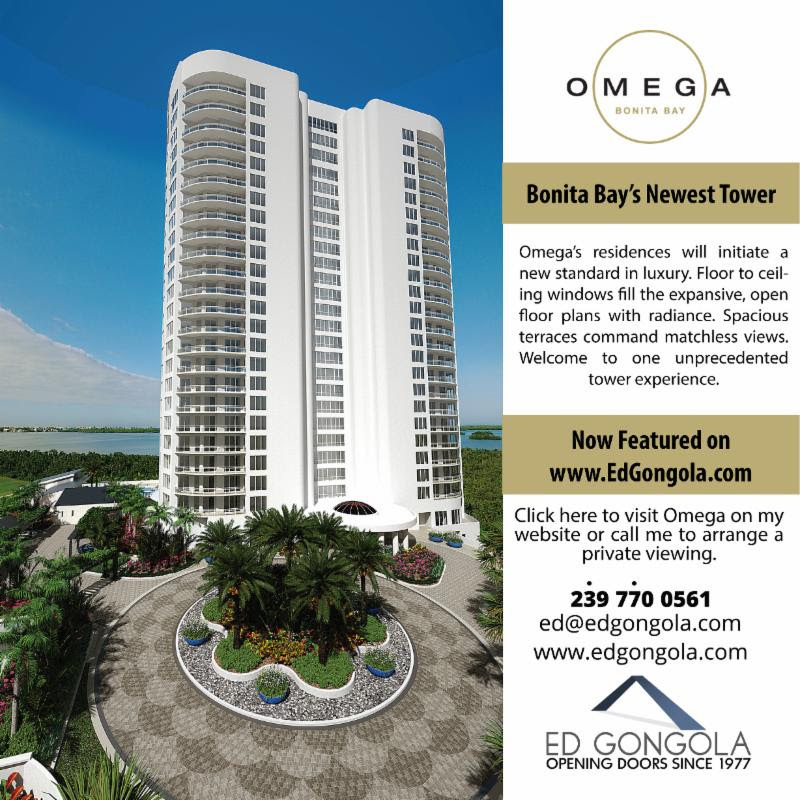 Contact me to schedule your private visit to Omega: 239.498.2628. 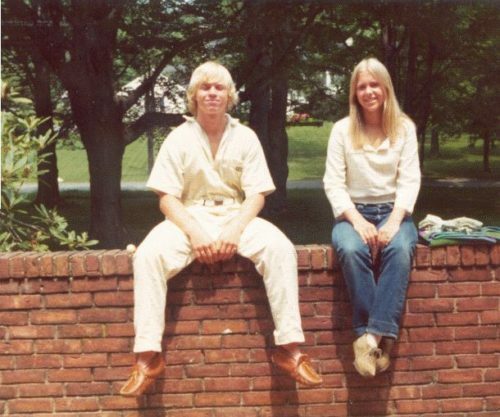 Lunch Daily 11:00 a.m.-3:00 p.m.
Can You Sell 1/4 of a Home Without Co-Owners Permission? Answer: Yes, unless you are otherwise restricted. Your right to sell what you own, both real estate and personal property, is very strong, subject to only necessary restrictions. For example, if you previously agreed not to sell the property, such as in a deed or written agreement, or if it is something that is against the public interest to sell, such as human organs, you will not be able to sell. Other than these certain exceptions, almost all private property can be sold. If the property is in a community association, you might have to get your buyer approved. Again, this is because you agreed to that restriction when you bought a property in a planned development.In your case, you would be selling your quarter interest of the entire property, not a corner of the land. This means that the person you sold your interest to would be a co-owner with your three brothers. This would not be attractive to most buyers, making your share very difficult to sell. It will also not be appealing to your siblings. For this reason, I recommend some sort of co-ownership agreement be signed when you buy property with other people who you are not married to. Parents giving the property to their children to own together should think about this too. They can put certain restrictions on the property to avoid this sort of issue via a trust agreement, or by correctly listing the restrictions directly on the deed. However, since the right to sell your interest in property is such a fundamental right, any restrictions must be balanced and fair or will not be enforceable. The Downing-Frye January 2019 pending sales don’t tell the complete story. Let me explain. In January 2019, we had 271 pending sales. Sounds pretty good until you realize that the previous January, we had 328 pending sales. That is a 17% drop in pending sales. I think the January 2018 pending sales were elevated due to Hurricane IRMA pushing some of the buyers into the first quarter of 2018. In January 2017, we had 244 pending sales and in January 2016, we had 218 pending sales. Over the last 13 years, Downing-Frye has averaged 261 pending sales In January. So the bottom line is this: we are about where we should be for January. One interesting note: In January 2007, we had 112 pending sales and in January 2008, we had 110 pending sales. Those were two tough years for sales. I gave you this info so you could see what business is done in a tough year. Feb. 1 | Beginner Croquet (C) | 1:30-2:30 p.m.
Feb. 6 | Croquet & Crumpet(C)| 10:00 a.m.
Feb. 7 | Grand Slam (T) – Dink, Drink & Dine (P) – Mallets & Hoops (C) 4:30pm- Play | 6pm – Dinner Feb. 10| Wine & Wickets (C)| 4:00 p.m.
Feb. 15 | Beginner Clinic (C)| 1:30-2:30 p.m.
Feb. 19| FGCU Pro Am (T)| 5:00 p.m.
Feb. 20 | Women’s Night Out (T) | 5:00p.m. 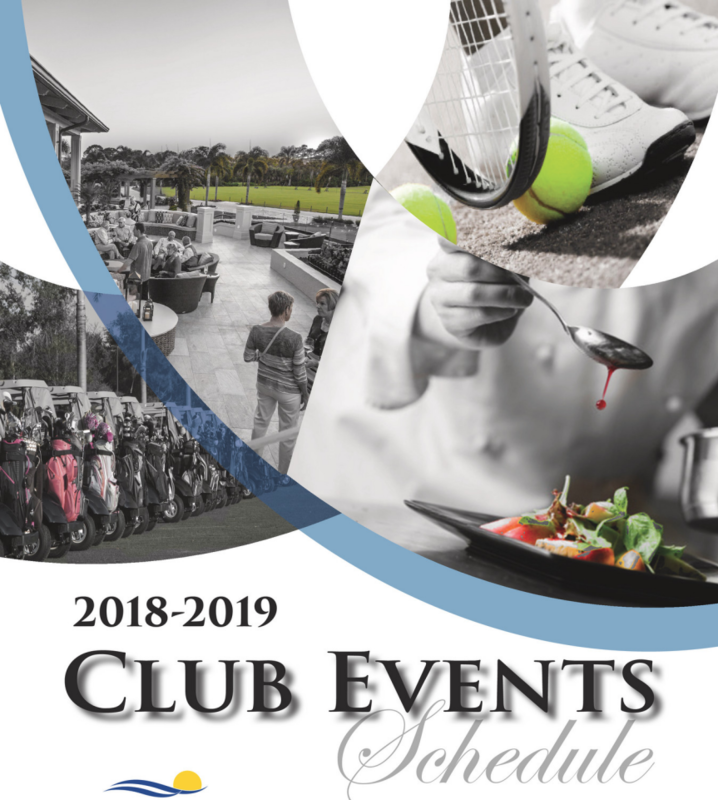 Feb. 24 | Wine & Wickets (C)| 4:00 p.m.
Feb. 28| Whacky Croquet (C) | 4:00 p.m.
Download the full 2018-2019 Event Calendar.